My old buddy Coach Roy Benson had a simple way of explaining the difference between involvement and commitment. 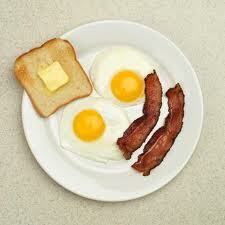 He would say that when you think of a breakfast of bacon and eggs, the chicken is involved, the pig is committed. With apologies to my Vegan friends, it certainly sums it up. I hear lots of talk about how today’s runners aren’t as committed to the sport as were the runners in the 70’s or 80’s. Today’s runners are criticized for not being willing to put in the time and miles. I hear that they’re only involved in the events and the travel and the social aspects, that they just want to have fun, to enjoy a healthy active lifestyle without paying their dues. Really? I have exercised in some fashion for over 20 years. I’ve been a runner, a walker, a duathlete, a triathlete, an adventure racer, kayaker, swimmer, and cyclist. And I haven’t been very good at any of them. And – I’ve enjoyed every minute of every day that I’ve been active. To say that I’m not committed, that I’m just involved, is pure poppycock. Now, it’s true that there were years in my life where I was able to be more committed to competing. Especially in the early years when every race distance and every race experience was new I spent more time planning, training, and racing. I’d spend hours creating elaborate training schedules based on what I viewed as the best of what was available, and I’d commit to getting in the training no matter what. That “no matter what” often included an ache or a pain or an injury. I was committed. I couldn’t miss a workout or my whole training strategy would fall apart. Or so I thought. In my commitment I was stressed out and often disappointed that I wasn’t improving more quickly. At some point I began to worry less about my level of commitment and more about my level of joy. It occurred to me that I wouldn’t keep doing the things that I enjoyed if I took all the joy out of the activities. My commitment never changed. What changed was how I expressed that commitment. What also changed was that I remembered what I got started with all this in the first place; to have fun. AMEN! thanks for reminding us (and promoting) that the whole point is to ENJOY IT… I’ve quit worrying about my finish times, and focusing much more on my training (and race) experience. If I’m beating myself up to get a particular workout in, is it really worth it?? 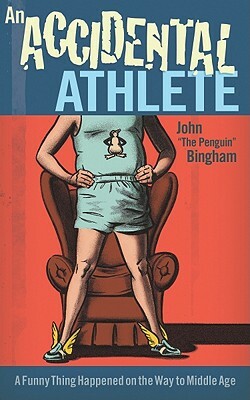 It’s not like I’m an elite athlete, whose income is dependent on whether I maintain a specific pace. I’m here because I enjoy it.. all of it… the training, the racing, the endorphins, the friends. What about the toast? Just a spectator? Ever so true. The joy I get from running outweighs any status symbol you can get from an intense race or training plan. If anything, we’re more balanced now than we were in the 70s and 80s. So glad I found your blog!